I need an orange one next…. So back to the winter training thing.. 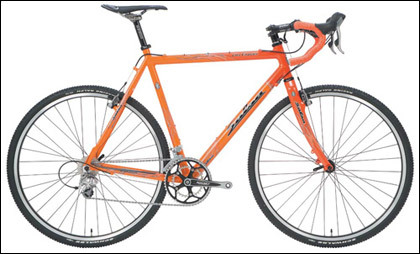 I have, on many occasions, also tried to bring myself to fork out for a Genesis Day 01 Alfine.. it ticks a lot of important boxes… i.e it is a very nice shade of orange and it has eyelets for full length fenders.. but with that hub gear it has 7 gears more than I really need and the stock shitbongo shifter is soooo ugly. I suppose I could swap it out for a Jtek bar end one but it doesn’t get past the quite strange idea of having a winter bike with more than one gear… There is a singlespeed version that is an easy fixed conversion.. but it’s yellow. Ugh. 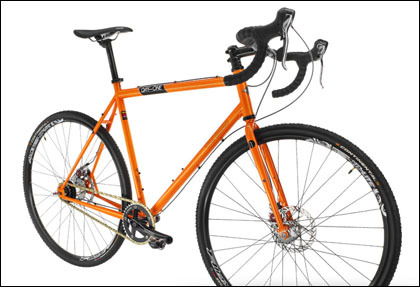 So my ideal winter road frame then is orange, it is steel, it has track ends, spaced at 120mm and it has eyelets for full length fenders/mudguards. Such a beast doesn’t appear to exist. 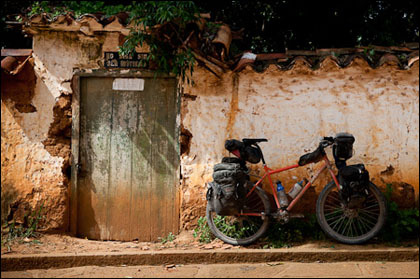 There are loads of cheap steel fixed gear road frames around but they all miss a trick by not having eyelets, can’t understand given the utility they offer for winter training. None of them are orange either. 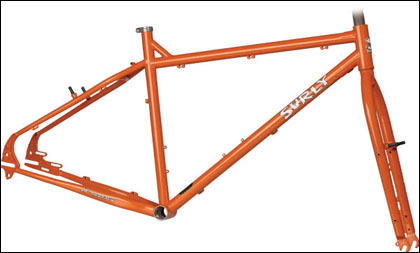 So I suppose I have two choices.. buy a cheap steel track frame like a Genesis Flyer or On-One Macinato and send it off to a frame builder to have eyelets added and an orange coat of paint.. or I just stick with what I have for another winter. Or, and I know I can’t count, I build up a Troll and avoid the winter problem altogether by buggering off on another expedition with it…. oh, dammit..
Or I could get something in lime green. How about the Rawland Halvmaane? Should be in production soon and hopefully they’ll keep the cool orange colour of the prototype. ah ha! looks fantastic, cheers!